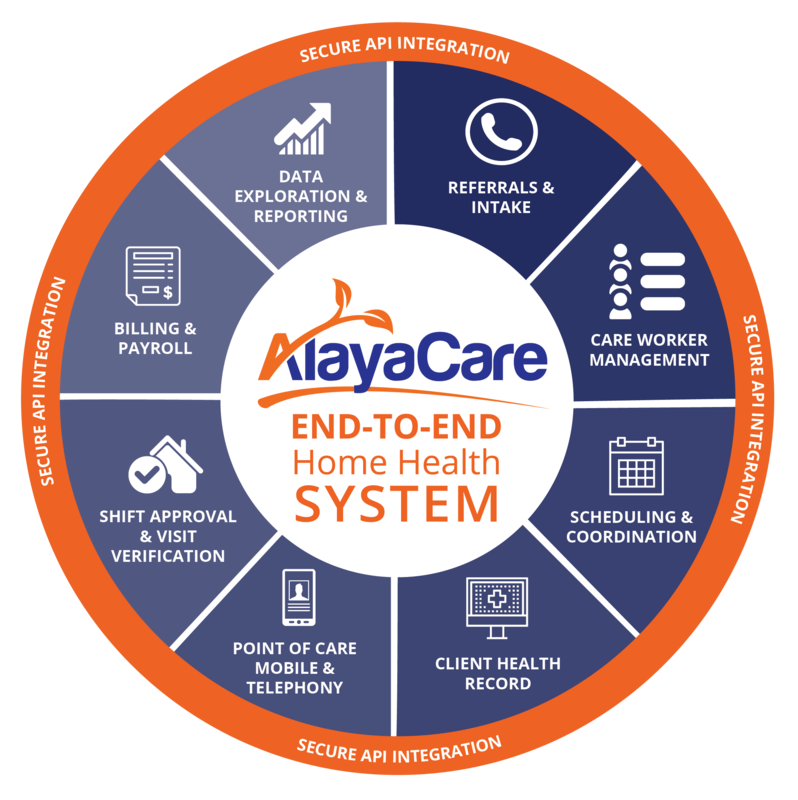 As a first choice end-to-end home care software platform, AlayaCare not only provides innovative product lines to help improve outcomes, but also pushes the boundaries to change the future of the industry. See for yourself how AlayaCare offers more key features and functionality to increase clinical and operational efficiencies and improve client outcomes. 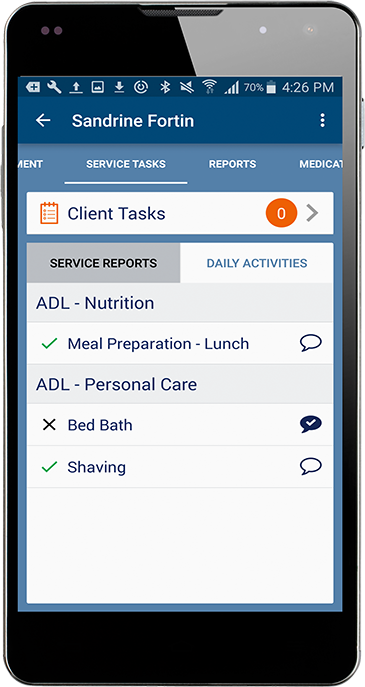 Flexible and Intuitive Home Care Clinical Documentation Solution. AlayaCare’s configurable Electronic Health Record (EHR) and clinical form wizard enables home and community care providers to deliver best of breed user interfaces to document clinical information in a secure HIPAA compliant environment. 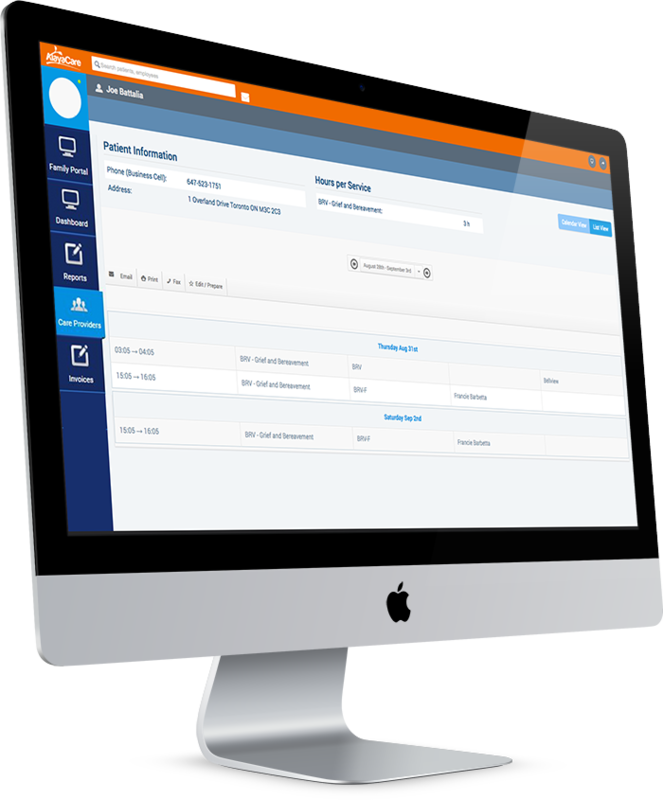 Convert or build any form or report into a digital format allowing care providers to chart and document at the point of care from any device. Leverage rich media functionality such as pictures, signatures, and drawing. Configure your care plans according to your agency’s current workflows. Maintain detailed records of user changes and clinical notes with version and routing controls. Configure documentation for high levels of client acuity such as wound care, infusions, and medical reconciliation. Document clinical information from a native mobile application or a responsively designed web portal from any device. Automatically route forms to the assigned personnel for specific services or visits depending on the phase of care. Reduce delays with real-time uploading, documenting, and charting. Minimize data entry courtesy of menu-driven and predictive text functionality. Track progress with visibility into previous form submissions and report history. Simply extract form submissions for data analytics and reporting across your entire agency. Multi-tenant architecture bolstered with redundancy and various monitoring tools to ensure 99.5% uptime. 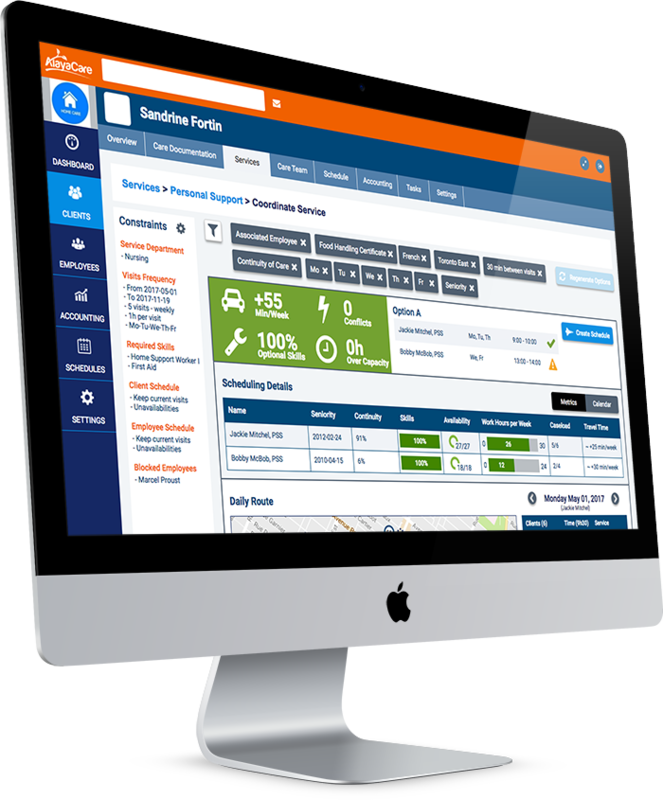 Manage your client’s care journey from beginning to end with scheduling, billing and payroll in a single, integrated solution. The Future of Home Care, Right at Your Fingertips. Providing caregivers with real-time access to schedules, route details, billing, safety, time tracking, patient data, and form reporting. AlayaCare’s intuitive, responsively designed, and feature-rich app is available on both smartphones and tablets. Free your hands with voice memo and progress note updates. Easy access to a client’s care plans and patient history. Digitally sign-off on documentation with eSignature. No more schedule delays as staff are able to upload information immediately from the field. No more time sheets with GPS based clock in and clock out and Telephony (IVR). Automated time and attendance reconciliation against the schedule. Gain accuracy and increased compliance through location-based EVV. 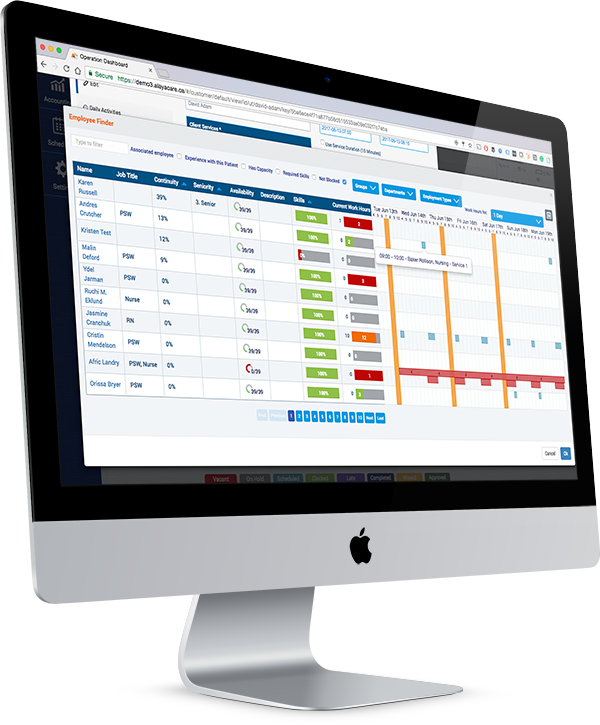 Schedule updates and employee unavailability in real time. Keep on track through mobile alerts and reminders. Easy access to important contacts with quick link icons. Ensure staff are accounted for with exclusive “GPS Tracks” feature that pinpoints location during working hours. Ensure data security with session timeout measures and a secure log-in. All data is encrypted in transit and follows strict privacy legislation. A Complete Virtual Care Delivery Solution: Telehealth, Remote Patient Monitoring (RPM) & Video Conferencing, Wearables and More. Reduce re-admissions and leverage patent-pending artificial intelligence for predictive modelling and decision support. A fully integrated system to deliver both in person and virtual care delivery. Engage & Inform Stakeholders in the Care of Their Loved Ones. AlayaCare’s home care family portal feature is equipped with video conferencing and provides key stakeholders with the tools they need to directly engage in the care of their loved ones. 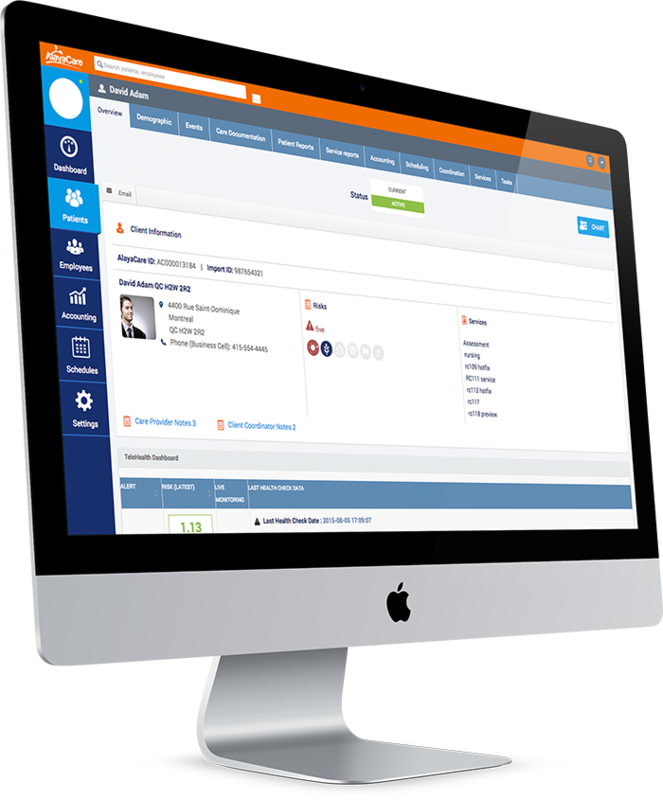 Determine roles and permissions of various portal users. AlayaCare is the only home care software provider offering innovative technologies such as a Patient App, Telehealth Dashboard, Family Portal, RPM software, and Machine Learning algorithm-based clinical support tools, which allow for better coordination and quality of care across the healthcare continuum. 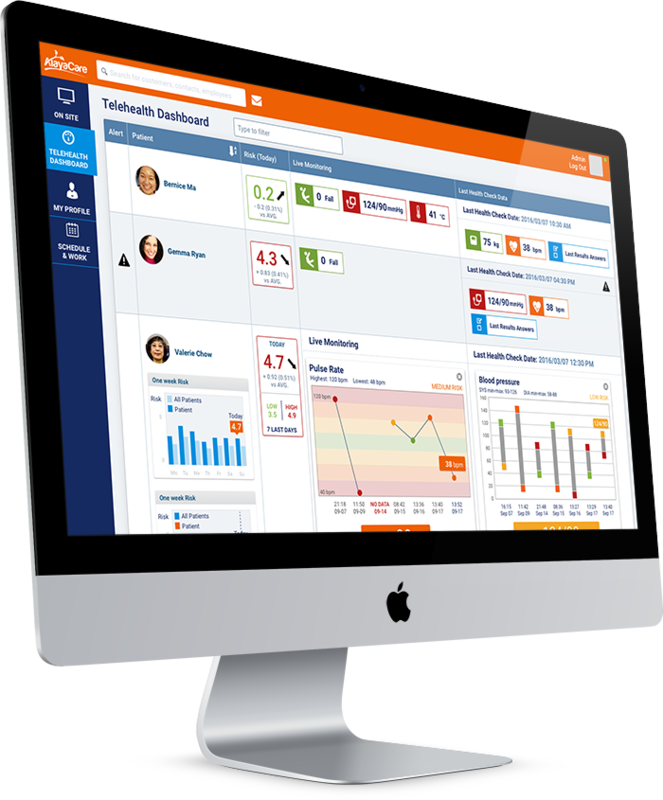 See how our powerful home health care solution can help you increase your bottom line and improve client outcomes.